DiveMaster PADI with category of DSD Leader and Instructor E.F.R. and boat skipper. 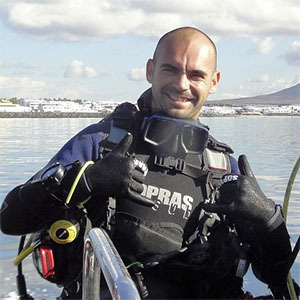 PADI diving instructor OWSI, E.F.R. instructor, diving guide and boat skipper.